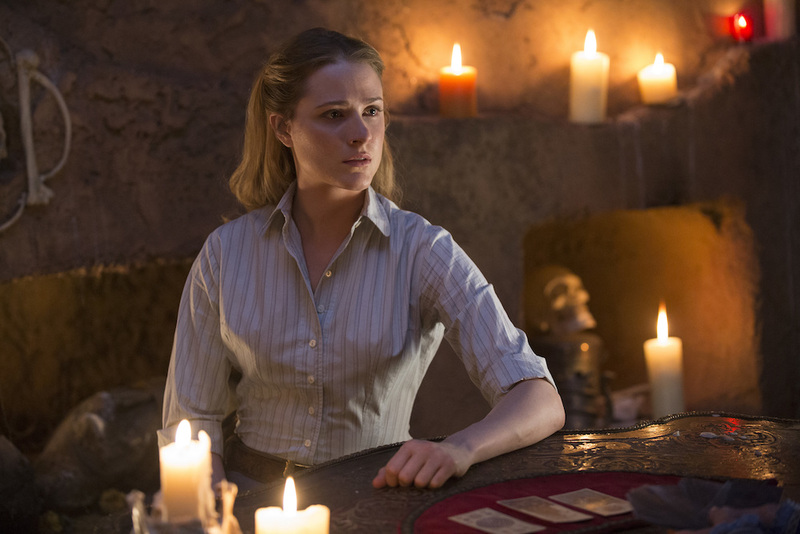 There’s not much Evan Rachel Wood can say about the “Westworld” finale. IndieWire spoke with Wood about what to expect on Sunday, how she shared her own fan theories with co-stars during production, and what little she knows about Season 2. Congratulations on the Season 2 renewal. We all kind of knew it was coming, but it’s such a relief to get the official word. Oh good. Dolores isn’t gone. That would be devastating. So do you know anything about what’s coming in Season 2? I know a little about what’s coming in Season 2. I know how our ending for Season 1 will segue into Season 2 and… wow. [laughs] That’s all I can say. I think it was always that Season 1 was going to be this backstory and set up — getting to know the park and characters. I think Season 2 is really going to be warp speed. The show might really start in Season 2. I heard that out of all your past roles, Dolores is your favorite character. Was there a particular scene or moment that made her stand out? I think as the show progresses, she’s transcending her role as the damsel, as the woman who’s supposed to stay at home. She’s overriding her programming and her conditioning. Every episode, she’s opening up more and more. The only thing I can say about Episode 10 is I feel like a lot of people are going to get up on their seats and clap. [laughs] There are certain things that we’ll see which made that character so important to me and will make her so important to a lot of people. Do you read fan theories? Do you go online to see what people are talking about? Oh, no. I’m aware of some of them, and my favorites are when people will send me a dissertation on a theory they have, and they’re so sure [they’re right]. They’re like, “Just remember: I said it first!” And they couldn’t be more wrong. [laughs] That stuff cracks me up. And since we didn’t have the scripts when we were filming, I was one of those people [coming up with theories]. It took us about a year to do Season 1, and we went on a hiatus right after we found out about Jeffrey’s character. So we all had to wait — for months! — to find out what was going to happen next and to find out how the series was going to end. Were the three that you guessed ones that have happened yet? They haven’t happened yet. There’s a lot of mysteries surrounding a few of the characters that are still unanswered — these looming characters of Arnold and Wyatt. I dove into that and maybe figured it out beforehand. The Season 1 finale of “Westworld” airs Sunday, December 4 at 9 p.m. ET on HBO.